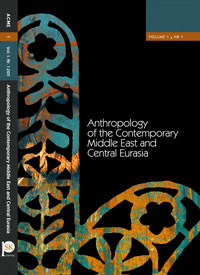 In spite of the difficulties of the terrain, it seems that students of the social sciences, especially anthropologists and ethnographers, are increasingly developing research projects and carrying out fieldwork on different aspects of modern and contemporary societies in the Middle East and Central Eurasia. While in these two areas of the world varying populations live with correspondingly varying religious beliefs, everyday assumptions and orientations, and political concerns, many groups also have common traditions, inherit from common pasts, and exhibit similar behaviors. Today, people of contemporary Middle Eastern and Eurasian societies, whether in dominant or minority groups, can arguably be seen as constitutive of a larger society, composed of distinct ethnicities. In this part of the world, the three main Abrahamic and monotheistic faiths - Judaism, Christianity, and Islam – have been, for about 1,300 years, historically and cosmologically intertwined, as well as in constant communication with more local faiths and streams of tradition. It is also the case that different regions in these two parts of the world have longstanding and significant historical connections. However, from 1979, particularly with onset of the Iranian Revolution (in February) and the Soviet invasion of Afghanistan (in December), the West’s shift in foreign policies towards these regions has had visible impact. The recent long wars in Iraq and Afghanistan and increasing political, religious, and ethnic clashes in the different regions of the Middle East and Central Eurasia, signal that more geopolitical changes in these regions are forthcoming. Under such present conditions of conflict and transformation, anthropologists have plenty of work to do, and may yet contribute to a better understanding of complex problems and their resolution. Given these considerations, we officially announced the creation of our network during the 11th EASA Biennal Conference in Maynooth in August 2010. Our network is open to all likeminded and interested anthropologists, students and researchers of social science working on a diversity of aspects of modern and contemporary societies in the Middle East and Central Eurasia, including those who work on minority groups, or on religious themes. We are organizing our first summer school of “Hands on Camera” with collaboration of Dr. Andy Lawrence (Filmmaker in Residence and Lecturer in Visual Anthropology at the Granada Centre for Visual Anthropology, the University of Manchester, U.K.), Filmmaking For Fieldwork (Manchester, U.K.), and The Iranian Documentary and Experimental Film Center (Tehran, Iran). This program will be held in Dept. of Iranian and Persian Gulf Studies in the School of International Studies at the Oklahoma State University in USA. This intensive course provides a scholarly environment for the study and practice of anthropological media, hands-on training in ethnographic documentary production techniques (camera, sound, editing, etc. ), as well as the opportunity for group projects with regard to the contemporary Iran and Persian Gulf. No previous experience in documentary film production is necessary.